Serving Refreshments, Fresh Fruits, Shave Ice and MORE! 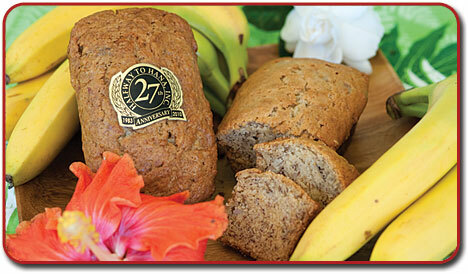 The home made "Banana Bread" has a taste that you won't soon forget. It is make daily and has been since 1983. It is "melt in your mouth" delicious. 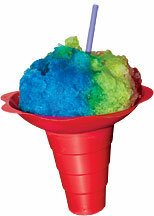 You will be offered their mouth-watering "Shaved Ice" with thirteen tropical flavors to choose from. You may add ice cream to make this treat even more delightful. Aunty Pearl's "coconut candy" is a must to eat now or to take home to a special friend or co-worker. It is made with fresh coconut, tossed in raw brown sugar, and toasted to a light brown glaze. OUT OF THIS WORLD. 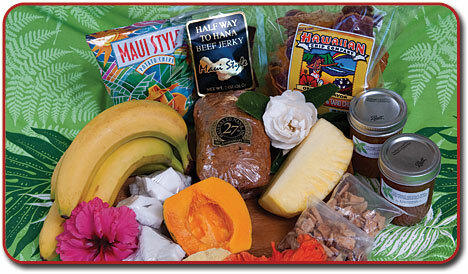 Halfway to Hana's very own "Beef Jerky". You haven't tasted beef jerky like this! Nice and crunchy - not tough. Made with our own secret spices and a lot of love. • An ATM for your convenience.